hd00:14Ham and cheese sliders on homemade dinner rolls. hd00:20Ham and cheese sliders on homemade dinner rolls. hd00:21Ham and cheese sliders on homemade dinner rolls. 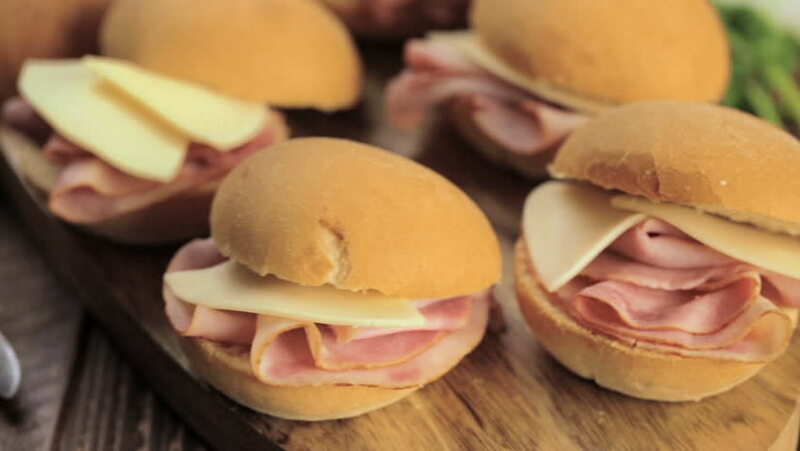 hd00:13Ham and cheese sliders on homemade dinner rolls. hd00:15Ham and cheese sliders on homemade dinner rolls. hd00:18Close-up of Burger with fish in the women's hands. Girl bites off a piece and chews.